His collaborative work with Lawrence Livermore National Laboratory, Argonne National Laboratory, Princeton and Stanford Universities and Imperial College London among others has contributed significantly to the construction and validation of detailed kinetic models presently used by the combustion community to simulate large alkanes, cyclo-alkanes, and their reaction intermediates, as well as for a large range of oxygenated hydrocarbons. Prof. Curran has contributed especially to mechanistic insights and detailed kinetic modelling of low temperature and negative temperature coefficient behaviour of large carbon number species. His experience in comprehensive, hierarchical model development provides much of the detailed modelling materials presently used in industry for emulating autoignition and combustion processes in energy conversion system applications. Prof. Curran received his PhD degree from the National University of Ireland, Galway (NUIG) in experimental and numerical studies of combustion kinetics in 1994 and a DSc. degree by research from the National University of Ireland in October 2011. He served as a postdoctoral research scientist from 1994 to 1997 and research scientist in combustion modelling with Dr. Charles Westbrook and Dr. William Pitz from 1997 to 1999 at Lawrence Livermore National Laboratory (LLNL). In 1999, he returned to Ireland to take an appointment as a lecturer in Physical Chemistry at Galway-Mayo Institute of Technology while continuing to consult with LLNL and performing collaborative research in kinetics with Prof. John Simmie at NUIG. He was appointed as an adjunct Lecturer at NUIG in 2001 and as a Lecturer in 2005. 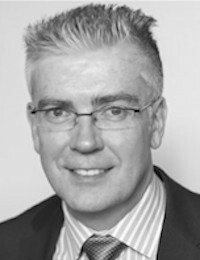 He is currently director of the Combustion Chemistry Centre and Priority Research Area leader in Energy at NUIG. He is a member of the editorial boards of “Progress in Energy and Combustion Science” and the “Proceedings of the Combustion Institute”. He is a founder member of the Irish Section of the Combustion Institute, a fellow of both the Institute of Chemistry of Ireland and the Royal Society of Chemistry. He is a member of the Institution of Engineers Ireland, the American Society of Automotive Engineers and the Society of Automotive Engineers. He became a member of the Royal Irish Academy in March 2015. He was awarded the Boyle-Higgins gold medal in Chemistry by the Institute of Chemistry of Ireland in April 2017. He has been named by Clarivate Analytics (formerly Thomson Reuters) as among the top 1% of researchers cited in his field each year (2014—2018) since records began. He began consulting with Convergent Science in 2017.